My girlfriends ford has this thing called bluetooth audio where her phone connects via bluetooth and streams music through the speakers. How would I go about getting that in my 2004 Honda Accord? I don't even have an auxillary plug in so frankly I'm getting tired of driving around with no music. I'm guessing I'll have to get an aftermarket stereo with it installed? Can someone point me in the right direction? We have a couple of members who will see this soon and tell which way to go on this.. They both know their stuff so listen to them when they catch up to you..
how much do you want to spend? bluetooth is a fairly basic feature now and you dont have to spend a whole lot to get it. however if you want to replace the stereo in the factory dash location, the dash kit can be expensive depending on your cars features. do you have the climate control? what other features do you want? would you prefer single or double din? I only want to spend as much as I have to to get bluetooth working. If I don't have to replace the stereo that would be ideal. By climate control do you mean that each person can set their own temperature? If so, then yes I have climate control. That's about all I want I think. Im not sure what you are referring to by din? din is the size. the factory is a double din. also touchscreens are generally double dins. the thinner more regularly seen radios are single din. the fact that you have the dual climate control means either putting it in the cubby (a thirty dollar dash kit) or buying the dual climate control dash kit, to replace the factory stereo (a 200 dollar kit). I will look for a bluetooth adapter that is compatible with your car. but as of what I know off the top of my head this is where we curently stand. What exactly does that do? I would prefer buying a $30.00 dash kit and putting it in the cubby. What would the $30.00 look like? 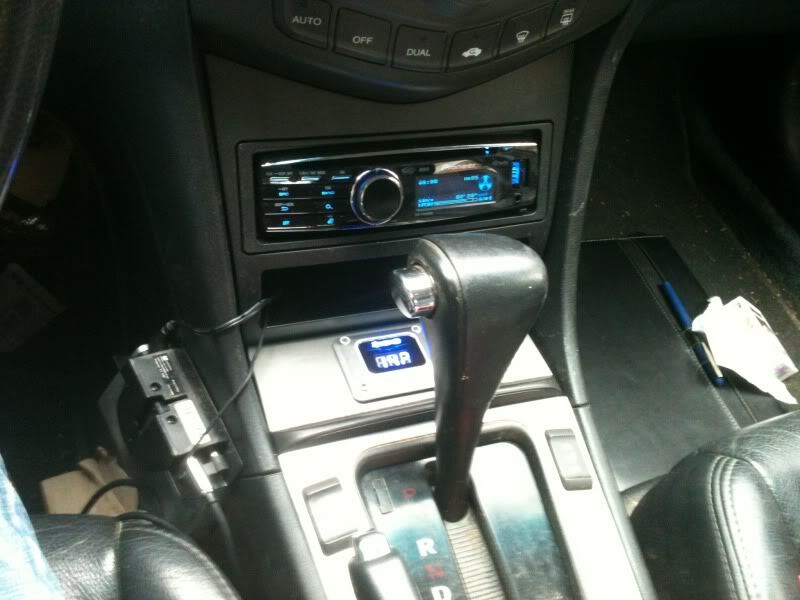 that adapter goes into the factory aux port and allows the stock head unit to do bluetooth. So basically all I will need is the Ipod USB Aux adapter that you linked above and a little installation and I will have a working bluetooth audio? It looks like a cable runs back into the car (Aux port) and then by looking at the diagram of the linked adaptor the only thing left to do is to connect a bluetooth transmitter to the adaptor and it will work. Is this correct? Also.. Below my stereo doesn't look like yours. I have a large compartment with a door that when pressed goes up. Last edited by Viper999; 10-09-2013 at 02:17 PM. I have never installed that grom kit. 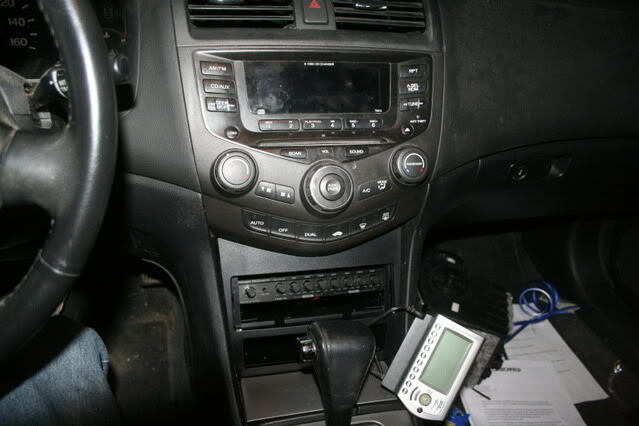 most of the honda stereos I come across need replacing because they have gone out. I have not added a feature to one. but from what it seems it comes with everything needed to add bluetooth audio. my car's cubby was a cubby with a flip up lid as well. that dash kit replaces that cubby. it is the entire insert. you have to remove the cubby with the flip up lid and put that in its place. my factory stereo is still in its origional location above that. Quick Reply: Bluetooth Audio streaming?